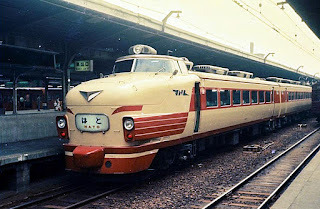 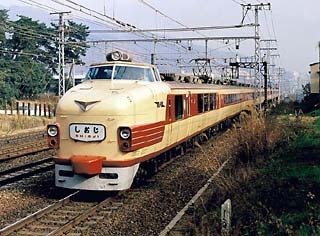 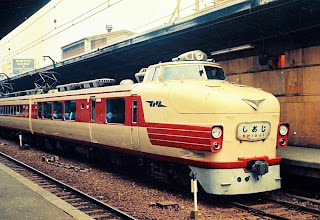 The prototype series 181, nicknamed "Kodama (Echo) type" or "Bonnet Express", was made as a powered-up version of the earlier modern express trains, series 151 and 161. The Series 181 was first operated as "Kodama" on Tokaido Mainline. 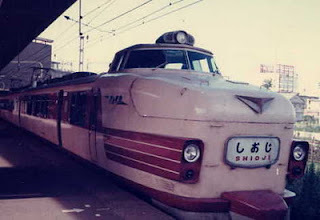 But when the Tokaido Shinkansen bullet train wider-track line was laid in 1964 alongside the conventional line, making the conventional express obsolete there, the conventional line 181 express train started its second life as the express "Shioji (Strand)" and "Hato (Pigeon)" on the conventional Sanyo Mainline in Western Japan; where no Shinkansen line was yet laid. 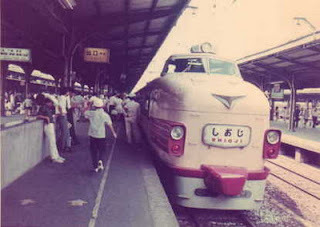 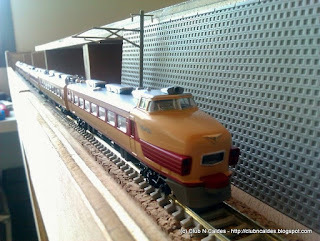 The express train with a pilot car Kuroha, equipped with a luxury compartment following the cabin, attracted many fans with its elegance.